Konor Dyer, 14, of Strong, came across the blue-colored amphibian while searching for an entry in a frog jumping contest slated for Saturday. 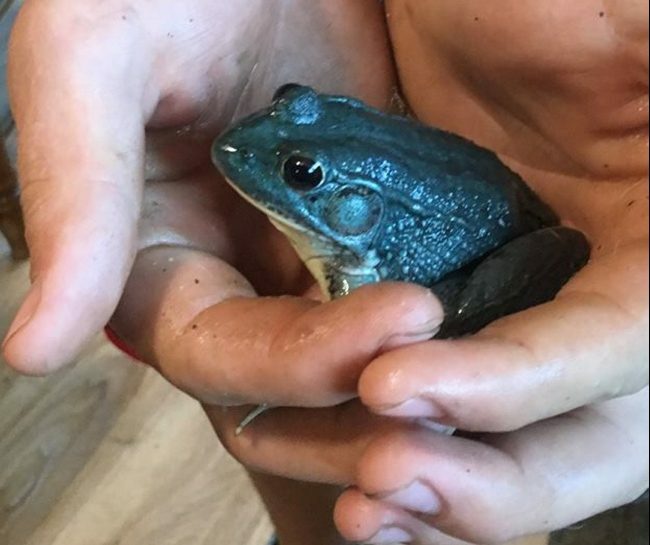 A Franklin County teenager recently found a rare “blue” frog while searching in the woods, state officials said. 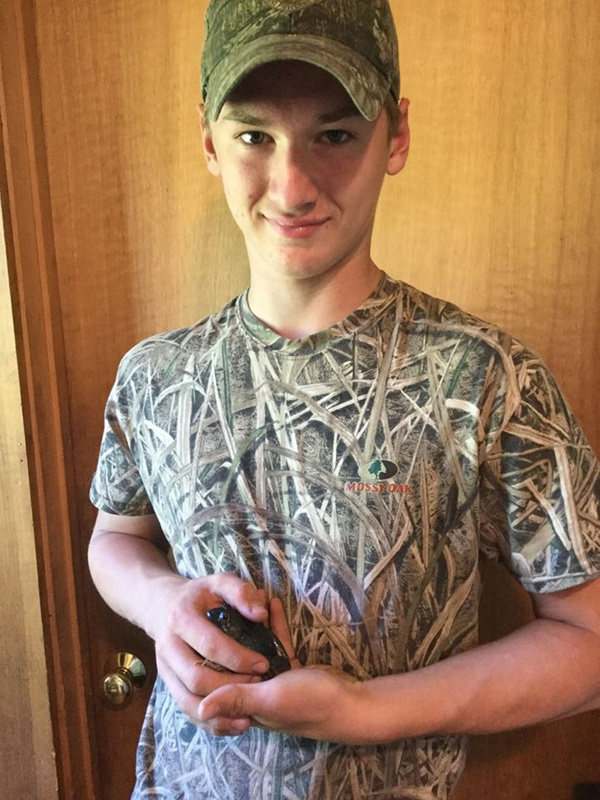 Konor Dyer, 14, of Strong, came across the blue-colored amphibian as he looked for an entry in the frog jumping contest at this weekend’s Phillips Old Home Days, according to the Maine Department of Inland Fisheries & Wildlife in a Facebook post. “One never knows what one might find in the woods and waters of Maine,” the fisheries and wildlife department wrote in its post. Frogs, the department notes, are usually green-colored because of a combination of yellow and blue pigments in their skin. Dyer’s find means the frog was lacking a yellow pigment, which is a “relatively rare occurrence,” the department wrote. State officials usually receive about one report per year of a blue frog. The frog-jumping contest at Phillips Old Home Days is scheduled to be held Saturday at 1 p.m.